We are excited to share with you the latest news and updates about the YW Hub facility, opportunities for partnerships and community involvement. Read below to learn more! Anticipation and excitement continue to grow as the YW Hub facility nears completion and our summer move-in approaches. On the exterior, cladding installation is nearly complete and final touches will continue in the coming weeks. 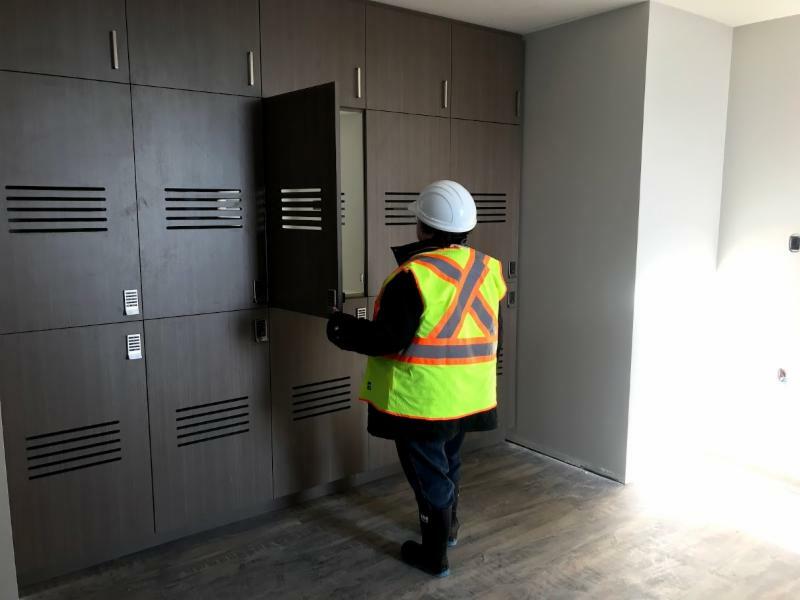 On the interior, installation of tiles, counter tops and cabinets are ongoing throughout the building. Transitional housing bedrooms and shared kitchen spaces are also receiving final finishes and will be complete in the next few weeks. Learn more about the construction of the YW Hub facility here. Individual, secured cupboard and fridge space for each woman in the shared transitional housing kitchen. The YW Hub facility will feature art installations that serve as way-finding tools and create a home-like space. The majority of the artists are women, local to Alberta and their art is representative of the demographic we serve. As a result, the art pieces are compatible with the trauma-informed design of the building. There is an emphasis on fiber and fabric-based art, though there will be a variety of mediums. Each area of the building will have a different theme informed by the buildin g design drivers . 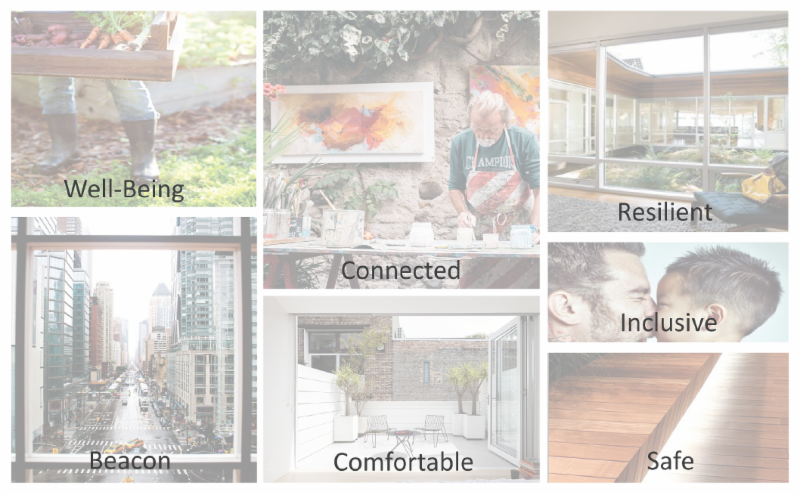 Learn more about the design drivers that are shaping the community spaces. Contact Carla Link, Director of Communications and Community Relations at clink@ywcalgary.ca . YW Hub facility design drivers. Our new home is becoming quite a presence in Inglewood and our Transformation Campaign is building a whole new momentum. The YW Hub facility is just months from completion and that means our campaign soon enters the next stage. There is much work to be done and we can’t wait to share how you can be a part of the excitement. Seeing the site with your own eyes creates new understanding of what is possible for women and children escaping poverty and domestic abuse. The building means YW will have greater opportunities to provide support and assist women to thrive in our community. We are busy working on our plan to renovate YW Sheriff King Home. It opened in Inglewood in 1984 and is long-overdue for a refresh and restructuring that will be supported by the Transformation Campaign. We will have exciting news to share at our Neighbour Day event on June 15 th as we get ready to connect with community in an entirely new way. Stay tuned, because we look forward to sharing with you - in person - how you can help us build hope and ensure that women are living to their full potential. Learn more about the YW Transformation Campaign here. Contact Jan Damery, Vice President, Resource Development at jdamery@ywcalgary.ca . Thank you to our guests, sponsors and donors for taking action to accelerate gender and wage equity in our city and build a bright future for women and girls! 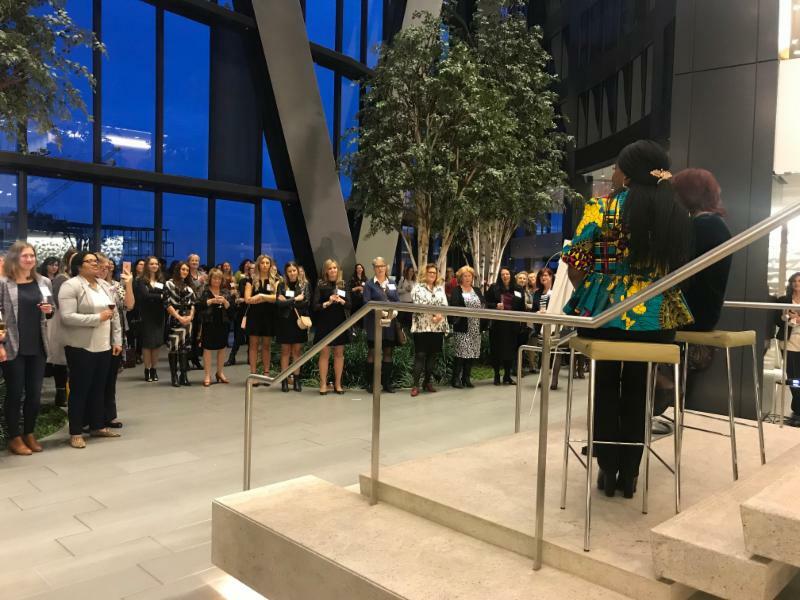 More than 300 women, children and men joined YW in celebrating the achievements of women in our city through impactful stories and conversation on International Women's Day - March 8, 2019 - at The Bow. Thanks to you, more than $44,000 was raised to support women in developing and gaining essential employment readiness tools through YW's Employment Resource Centre. As a result, 44 women will gain the skills and confidence to achieve success in the workplace. Your financial support helps us provide opportunities for women to thrive. Learn more about YW's Employment Resource Centre and the impact of your support. Jan Damery, VP of Resource Development and Pauline Iheme, YW Calgary client discuss impact of YW's Employment Resource Centre. You are receiving this email because you have expressed interest in learning more about YW Calgary or the YW Transformation Campaign. You can revoke permission to your email address at any time using the Unsubscribe link below.